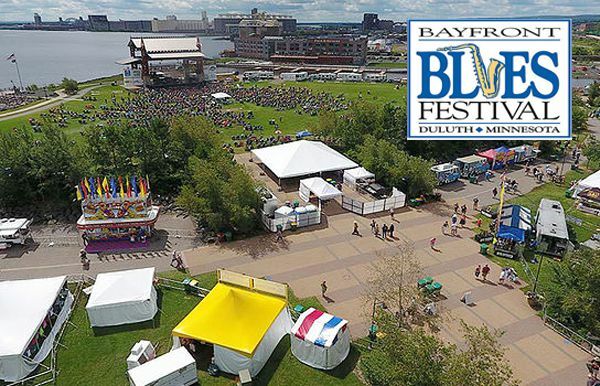 THUNDER BAY, ONTARIO - March 23, 2019 (LSN) The festival will be held outside on the shores of Lake Superior at the beautiful Thunder Bay Marina Park. The beginning of July has always seen excellent weather. Expect a fair sky with typical temperatures between 18ºC and 25ºC (64ºF - 77ºF). We have an exciting lineup of great artists performing at the 2019 Thunder Bay Blues Festival. Please review our schedule of performers below. 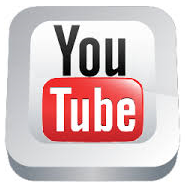 Check back regularly for updated information and links to each artist's biographies. 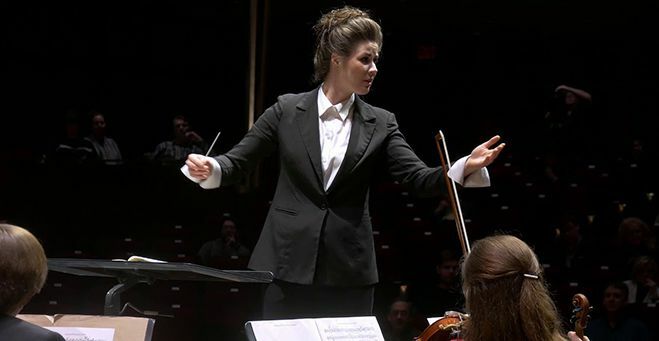 THUNDER BAY, ONTARIO - February 24, 2019 (LSN) TBSO’s Music Director, Paul Haas, is pleased to formally announce the two-year appointment of Maria Fuller as the orchestra’s new Resident Conductor. Ms. Fuller comes from a musical family, and began studying music in Saskatchewan at the age of four. In addition to conducting, she is an accomplished pianist and trumpet player. As a pianist, Ms. Fuller is a two-time laureate of the FCMF National Finals, of the CMC National Finals, and of the CFMTA National Finals in Canada. Ms. Fuller has soloed with the Longview Symphony and the Cincinnati Ballet, and has also performed with the Richmond and Kentucky Symphonies. The project began in 2012, and took four years to bring to fruition, with its oﬃcial release on November 3, 2018. The music was entirely composed by young Canadian composer, Jordan Pal. The recording features Canada’s celebrated Gryphon Trio playing with the TBSO. 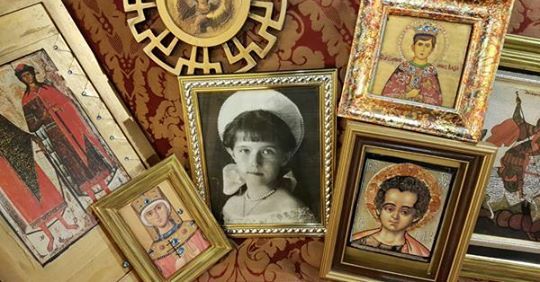 THUNDER BAY, ONTARIO January 20, 2019 (LSN) A golden throne, and glittering ikons: Anastasia, which opens February 27th, will be the first full production staged by Cambrian Players in their new theatre at 818 Spring St.
THUNDER BAY, ONTARIO - January 11, 2019 (LSN) Create Space is located at 303 Simpson st, on the corner of Simpson and Bethune. The building is at least 120 years old and was in need of a fair bit of work but I've transformed it from a gutted old storage space to a modern fully equipped art studio. 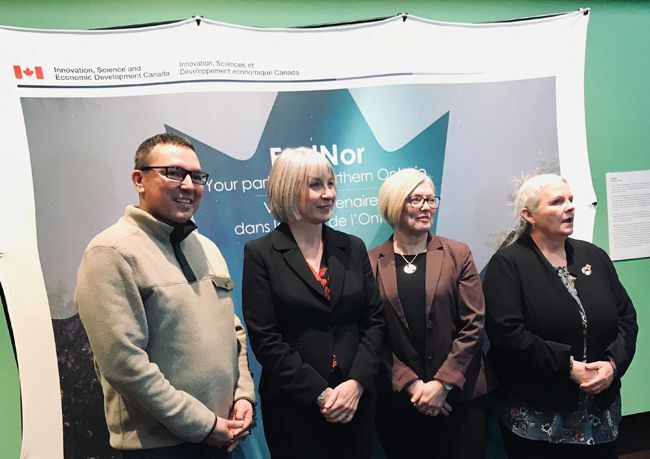 THUNDER BAY, ONTARIO - December 19, 2018 (LSN) Thunder Bay’s annual charity Christmas extravaganza is celebrating its 16th birthday this coming weekend. On December 23rd, yuletide revelers will take part in what’s become a local annual holiday tradition, where every cent raised goes directly to a local charity. This year’s recipient charity is Roots to Harvest. 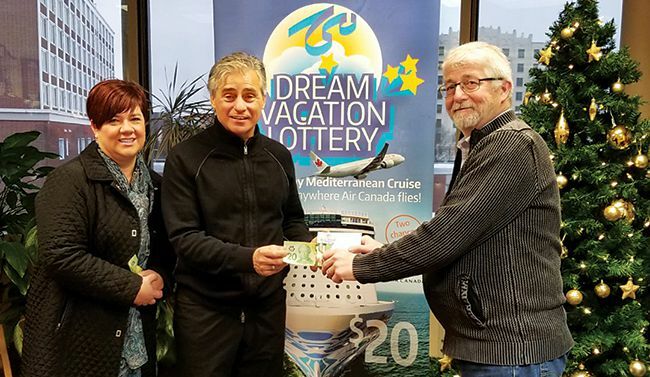 THUNDER BAY, ONTARIO - December 14, 2018 (LSN) Get ready to pack your bags—because the Thunder Bay Symphony Orchestra has just given you the chance to win a fabulous Dream Vacation for two! 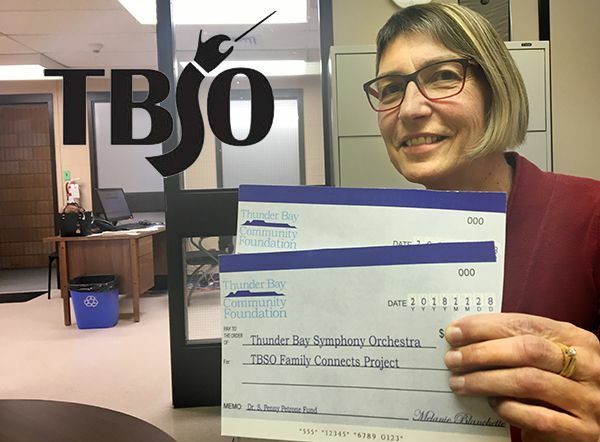 THUNDER BAY, ONTARIO - November 6, 2018 (LSN) Thunder Bay Symphony Orchestra (TBSO) President Linda Penner and Director Mary Anne Cooper received two grants totalling $7,000 through the Thunder Bay Community Foundation to support greater accessibility to classical music. “During the day, The Enchanted Bookshop may look like any other used bookstore. THUNDER BAY, ONTARIO - November 19, 2018 (LSN) The idea of performing Les MisÃ©rables first formed in the fantasies of a small group of homeschooled children. The idea was rekindled after that group flash mobbed their family in their Fernie condo during an impromptu performance of â€œDo You Hear the People Sing?â€. The process of bringing, the worldâ€™s longest running musical, Les MisÃ©rables, to Thunder Bay started in January of 2018. THUNDER BAY, ONTARIO - October 30, 2018 (LSN) When the Great War ended In November 1918 Canadians could take pride in the contributions their country had made. Canada sent over 600,000 soldiers and several thousand nurses, doctors and other people who supported the war effort behind the lines. Canada established 16 general hospitals in Europe, mainly in England, and a number of other hospitals and aid stations closer to the battlefield. Over 60,000 Canadian men and women died, from a country with a population of only 8 million. The country had paid a heavy price for victory in Europe. 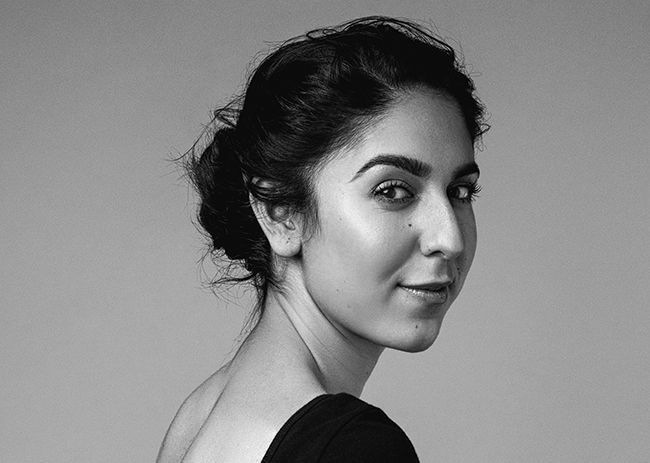 Biroun is a graduate of the Conservatoire de Musique de Montréal in classical piano studying under Louise Bessette, and also a graduate of Vanier College in jazz piano under Eric Harding. A white playwright uses the shooting of an unarmed young Black man by a police officer as a “jumping off point” for his hit play that is soon to be adapted into a major movie. “Mamma Mia is the musical we’ve been waiting for!” says Candi Badanai. 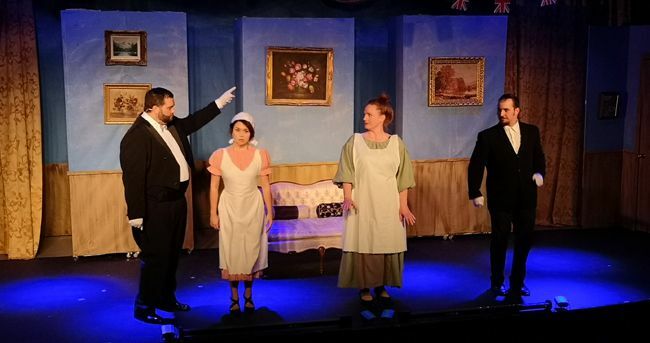 THUNDER BAY, ONTARIO - August 12, 2018 (LSN) Audiences have been flocking to the Paramount this August to catch a local summer theatre production of Downton Abbey Road. Now heading into its last week of performances, Downton Abbey Road is written by Randy Apostle of Celebrations and Jubilations Dinner Theatres and tells the story of the Crawley family being abuzz for Lady Mary’s birthday celebration until a mysterious visitor claims they know a dark secret about someone in the house. Originally called the Ontario Provincial Police Pipes and Drums, it was first formed in 1968 by Provincial Constables Robert Stevens and Martin DeSilguy of the Nipigon detachment. It began as a small unit playing at local community events and police functions and was officially recognized in 1974. COOK COUNTY, MINNESOTA - June 6, 2018 (LSN) Five of Minnesota’s standing Sheriffs performed a live concert last night at the Minnesota Sheriffs’ Association (MSA) annual Summer Conference at Cragun’s Resort in Brainard, MN, and turned the performance into an opportunity to support the Law Enforcement Torch Run (LETR) for Special Olympics. 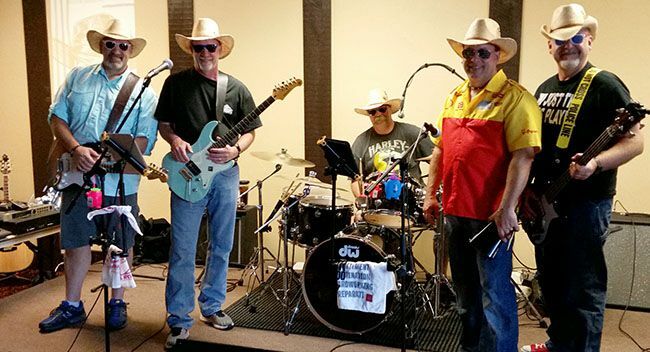 The band performed a two-hour show for the nearly 200 conference attendees, and by suggesting a voluntary nominal per person donation, managed to raise $2,502 from other Sheriffs, spouses and conference vendors. 100% will go to support the cause near and dear to the hearts of law enforcement. Space is limited to three tables of 10, and seats are expected to sell quickly. THUNDER BAY, ONTARIO - May 13, 2018 (LSN) Magnus Theatre’s Artistic Director, Thom Currie, laid out his vision for the upcoming 2018-19 season today. As always, the new season has something for everyone, but the new season will be packing even more entertainment into the mix. The season kicks off in July with the unofficial first show, BACK IN 59, written and conceived by Thom Currie. This jukebox musical featuring hits from the late 1950s and early 60s has been a smash hit it every theatre it has played at. 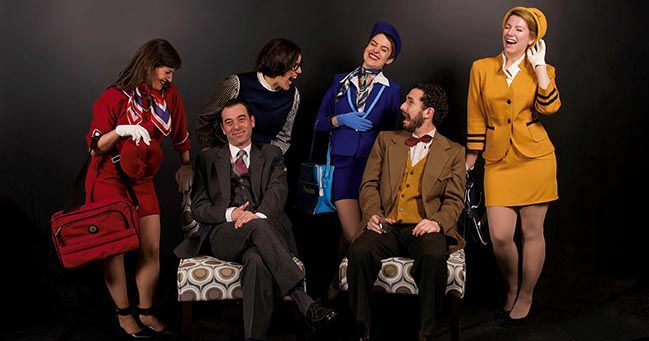 THUNDER BAY, ONTARIO - May 5, 2018 (LSN) Magnus Theatre is happy to present a raucous finale to the 2017-18 season, PERFECT WEDDING by Robin Hawdon. Two hours before his wedding, a bridegroom wakes up beside a woman he doesn’t recognize. Chaos ensues with the arrival of the best man, the bride, a meddling chambermaid and finally the mother of the bride. The madness reaches a fevered pitch as the groom desperately tries to remember the night before and explain himself to everyone in the hotel, making for a side-splitting night at the theatre. THUNDER BAY, ONTARIO – May 5, 2018 (LSN) As part of their eastern Canadian tour, Winnipeg jazz rock / psychedelic band, Apollo Suns will be making a stop in Thunder Bay on Friday, May 25th to play the Foundry stage. FOR FANS OF: Snarky Puppy, Billy Cobham, Jeff Beck, Five Alarm Funk. Born from the fusing of eight uniquely talented Winnipeg, MB based musicians, Apollo Suns have created a refreshing and innovative sound combining instrumental, rock, jazz and psychedelic music. 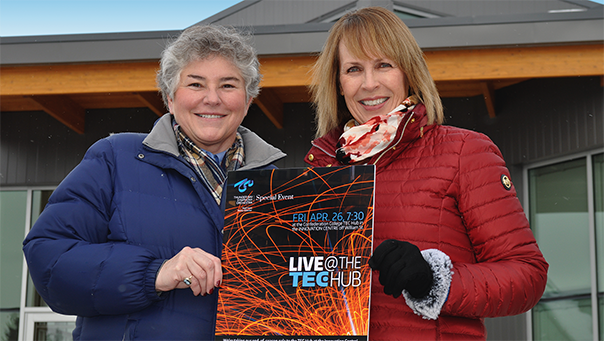 THUNDER BAY, ONTARIO - April 16, 2018 (LSN) In a surprise announcement at the orchestra’s Live @ the Abbey gala event this past Saturday, TBSO President, Linda Penner, announced that the Thunder Bay Symphony Orchestra has adopted a new logo—its first in 41 years. The TBSO’s management began addressing the orchestra’s visual identity last year—at the same time the Board was renewing its strategic vision. Both board and management decided that the time had come to modernize the organization’s visual identity, to bring it in line with the TBSO’s goals and its unique place in Canadian culture. THUNDER BAY, ONTARIO – April 15, 2018 (LSN) As part of their Canadian tour, Calgary’s Flowshine will be making a stop in TBay on Friday, April 27th at the Foundry to promote and play tracks of their new release, Gets Me Going. They’ll be joined by special guests Sarah Hakala (singer / songwriter) and DJ Big D.
: Flowshine is a music group based at the eastern edge of the Canadian Rockies. 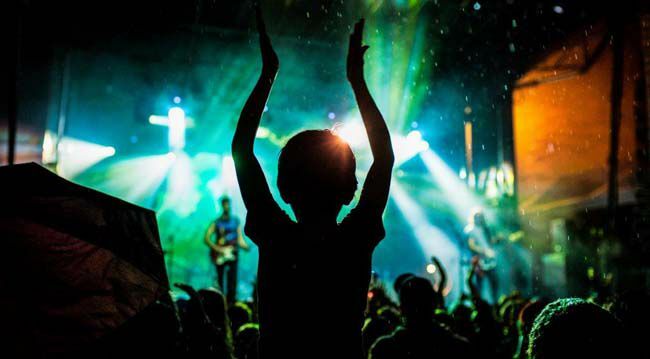 They are notable for their fusion of genres and energetic live shows. 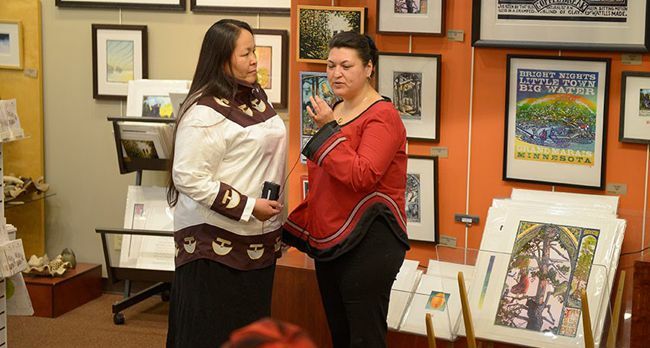 THUNDER BAY, ONTARIO March 24, 2018 (LSN) 2018, being totally captivated by the "feminine touch," is very special. Friday night sees the return of the raspy, smoky vocals of folk-rock superstar Melissa Etheridge to Bluesfest. Saturday's tandem of headliners, Canadian music icon and Lilith Fair founder, Sara McLachlan and 9-time Grammy Award winner Sheryl Crow, who has sold 50 million albums of her of timeless music, will astound. The festival closes Sunday to the resonating sounds of multi-platinum selling rock star Pat Benatar and long-time husband in music and life, Neil Giraldo. THUNDER BAY, ONTARIO - March 21, 2018 (LSN) The Thunder Bay Symphony Orchestra is proud to present Live @ the Abbey, the TBSO social event of the year! Last year’s Live @ the Shipyard was a phenomenal success. This year promises to be even better: imagine a huge gala house party on two floors. It all happens on Saturday, April 14, when the TBSO takes the end-of-season celebration to the unique and newly renovated Urban Abbey on Red River Road. THUNDER BAY, ONTARIO - February 26, 2018 (LSN) The achievements and contributions of talented local artists, cultural professionals, organizations and businesses were celebrated at the 8th Annual Thunder Bay Arts & Heritage Awards presented by Credit Union on Friday evening at Magnus Theatre. SAULT STE. MARIE, ONTARIO January 23, 2018 (LSN) “We are excited to be hosting this renowned Film Festival with Searchmont Ski Association. These inspiring adventure, environmental and action films will have broad appeal here in Algoma”, Brian Wilson, Sault Community Theatre Centre.” Sault Ste. Marie has never experienced a film festival as dynamic as BANFFs. We are fortunate to be surrounded by amazing outdoor enthusiasts in the area and couldn’t be more excited to celebrate our love of film and become part of the adventure with the BANFF Mountain Film Festival World Tour 2017-2018! "Celebremus! 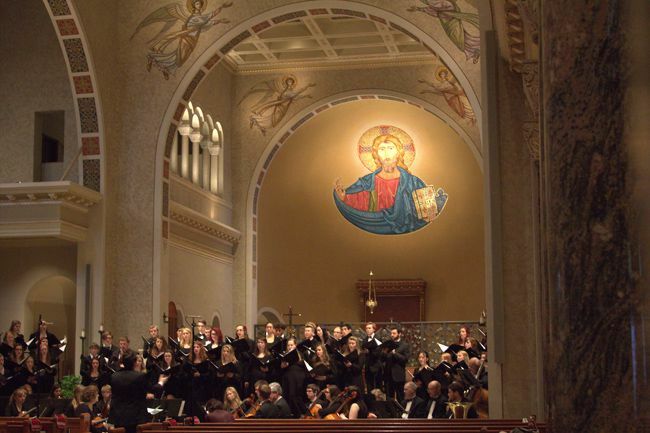 A Canadian Choral Celebration"
#LSN_Arts Open rehearsal January 30th, all women welcome. THUNDER BAY, ONTARIO - December 31, 2017 (LSN) Our first concert of the season, "Celebremus! 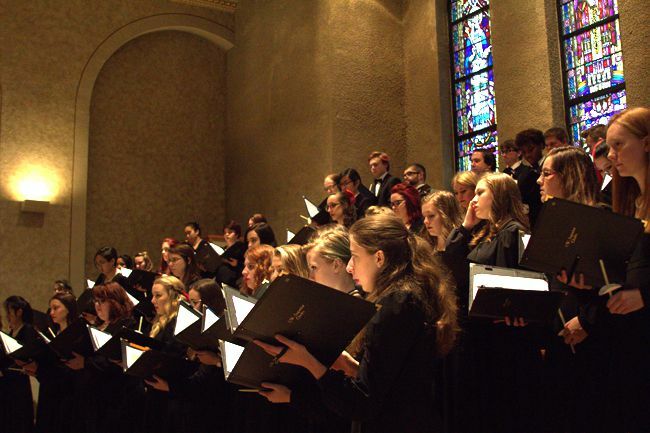 A Canadian Choral Celebration". This will feature myself, as the new Artistic Director, soloists from within our choir, Carol MacDonald on piano, and special guest Colleen Kennedy on the oboe. The repertoire for this concert is a variety of Canadian compositions ranging from folk songs, to classical pieces. A particular focus of the concert is Imant Raminsh's "Missa Brevis" to be performed by the choir and Colleen Kennedy on oboe. THUNDER BAY, ONTARIO - December 29, 2017 (LSN) Cambrian Players is extremely excited and proud to announce the new Home for Cambrian Players. After 70 Years, we now have a space to rehearse and house our theatre sets, props, costumes and tech equipment that is all our own! 818 Spring Street! The non-profit community theatre group has bought the former Polish Hall on Spring Street in Fort William. The high energy Broadway musical 9 to 5 with music by Dolly Parton is taking to the Paramount Theatre stage this week. Submissions are now being accepted in a wide range of categories from music, film and heritage to cultural sponsor and lifetime achievement. In total, there are 16 award categories. Disney's Sleeping Beauty KIDS tells the classic fairy tale of Princess Aurora's sixteenth birthday, and three fairies – Flora, Fauna and Merryweather who must use their magic to save her from the spell of the evil sorceress, Maleficent! THUNDER BAY, ONTARIO - November 26, 2017 (LSN) Thunder Bay's own Lakehead Choral Group will perform their annual "Spirit of Christmas Concert" on December 6 at at St. Agnes Church. The choir performing at Chartwell Isabella Retirement Residence on November 26. Their 2017 Christmas repertoire consists entirely of pieces by Canadian composers or arrangers. It's a festive end-of-the-year tribute to Canada's 150th birthday. THUNDER BAY ONTARIO - November 14, 2017 (LSN) This week Paramount Live’s Fall/Winter 2017 season’s first production takes to the stage with an original play titled SUPER BATTLE: THE WEST AND THE MIRROR WORLD. Super Battle: The West and the Mirror World is a play that was crafted under the directorial leadership of Spencer Hari. 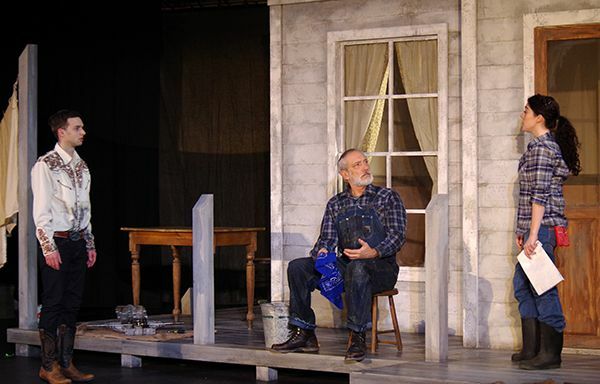 Like one of his previous productions for Paramount Live Ozlahoma, was crafted by the kids enrolled in the program. Through their ideas and uniquely developed characters, Spencer Hari takes their thoughts and story ideas and weaves them into one seamless story. HOVLAND, MINNESOTA - November 13, 2017 (LSN) Chestnut roasting on the open fire. Jack Frost nipping at the nose. The festive holiday season is descending upon us once again with its nose chills and creative holiday warmth. Once more our local Hovland and regional artisan crafters are gearing up for another pre-Christmas sale of their fine and exquisite handiwork and wares. This annual winter HAF (Hovland Arts Festival) event will be held at the Hovland Town Hall in Hovland, MN, 4957 E. Highway 61 on November 25th from 10am-4pm. 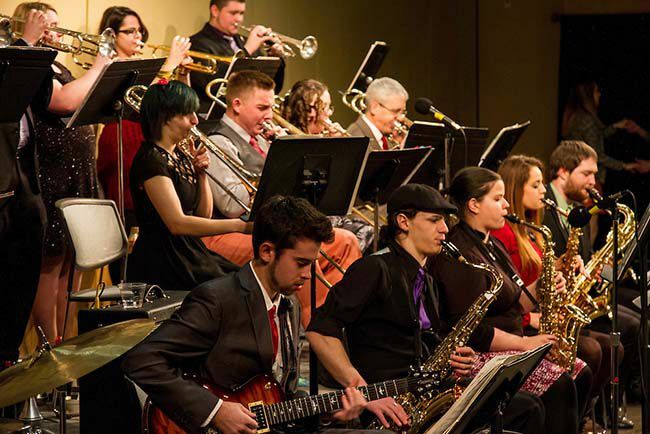 THUNDER BAY, ONTARIO October 20, 2017 - (LSN) The question is, “are you experienced?” When it comes to orchestral music the Thunder Bay Symphony Orchestra wants to make sure you are! And that might be a very good thing. Next Wednesday evening, the TBSO’s Conductor-in-Residence, Simon Rivard, is going to lift the covers off the classics and light classics, just for you. 2017, will be the groups 42nd year of continuously operating our Art and Fine Craft Show. 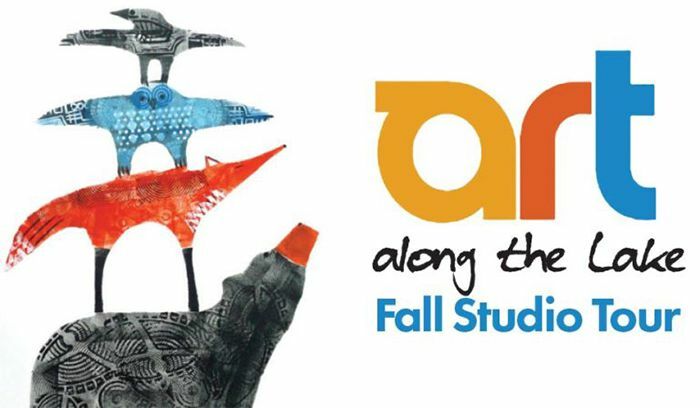 It runs the second week in November, Saturday November 11, 10-5, and Sunday November 12, 10-4. This years show is bigger and better as we will be occupying all seven rooms at the Valhalla Inn, in Thunder Bay with over 75 artists taking part. Entry to the show is free but we do a voluntary silver collection and donate part of the proceeds to an art related grouping Thunder Bay. This years recipient will be Willow Springs Creative Centre. We are the only juried show in the region. In order for an artist to become a member, an application for jurying is submitted to the jurying committee. The committee of selected members come together twice a year to jury new applicants work. Magnus Theatre runs an annual play creation project for local high school students, called the Collective Creation Project. With the guidance of professional theatre staff, students from across the city come together to write a play on a social issue affecting Thunder Bay. Students are involved in all aspects of the creation of the play, from writing to acting and stage managing. , WE WILL ROCK YOU has been held over for an extra week until September 30, 2017. Critics and theatre-goers are spellbound by the Bohemian Rhapsody, with their favourite Queen songs being brought to the stage in this sensational production. 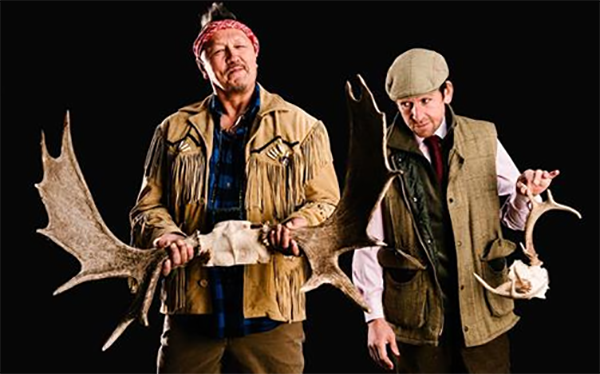 Thunder Bay, ON - It’s a revolution at Magnus Theatre! Magnus is excited to launch several new Theatre in Education programs for the 2017/2018 season. Magnus is revamping the YOUNG PLAYWRIGHT’S CHALLENGE, after a hiatus of more than a decade. Playwrights between the ages of 13 and 19 are invited to submit scripts between September 8th, 2017 and February 28th, 2018. The scripts will undergo an adjudication process, and a winner and two runners up will be chosen to have their scripts workshopped on the mainstage. Cash prizes of $500, $300 and $200 will be awarded. THUNDER BAY, ONTARIO, August 29, 2017 (LSN) Libraries are transitioning from buildings full of books to community hubs forlifelong learning and in the spirit of adding a Business Incubator, Northern Nature Trading Centre and other hands-on opportunities for learning and exploring creativity, we are happy to announce TBPL’s newest installation - vinyl record listening stations. The two record players are located upstairs at the Waverley Library. The area also features a music-inspired painting by local award-winning artist Duncan Weller and other decorations which reflect the musical history of Thunder Bay’s past. Users may select from a curated collection of fifty vinyl albums. Since 1947 the Art Colony has maintained a strong relationship between outdoor recreation and artistic pursuit due to Art Colony founder Birney Quick’s vision to form an outdoor painting school. 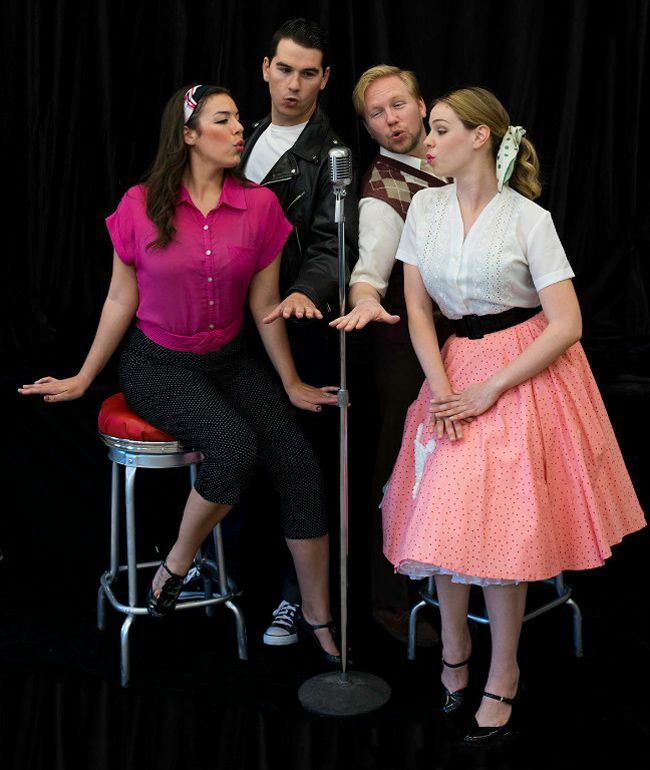 THUNDER BAY, ONTARIO August 14, 2017 (LSN) Greased takes us back to 1959 and it’s back to school for Danielle Zippo (Carly Martin), the leader of the T-Birdies the "mean girls" of Rydell High, and new “good boy” Sandy Olsen (Hudson Drew Morash) who try to relive the high romance of their “summer nights” as the rest of the gang sings and dances it way through popular 50’s tunes such as “Yakety-Yak”, “Leader of the Pack”, “Book of Love”, “Mama Said”, “The Twist”, and many more. The cast is rounded out with Buddy Rizzo (Micheal Bogensberger) a shy, rather awkward young geek who befriends Sandy, Penelope (Katherine Nemec) as Danielle’s best friend and a great mechanic and fighter of boys, Sunny (Olivia McInnis) who enjoys putting other people on by pretending she is not the sharpest knife in the drawer, and Mr. Jack Hass (Spencer Hari) an algebra teacher, Chess club coach and Glee club adviser. This actors cast in these roles will surely deliver a full throttle of laughs in this production of Greased.